We wish you a comfortable and pleasant stay! Paleochori Studios is a small traditional complex of apartments for rent located on a hill with view of the Paleochori bay, at the southeast part of Milos. If you're looking for a quiet vacation environment, a shelter from the stress of everyday life, Paleochori Studios is waiting for you, ready to meet your every need. Built according to the traditional Cycladic architecture, Paleochori Studios is built on three levels like an amphitheatre. 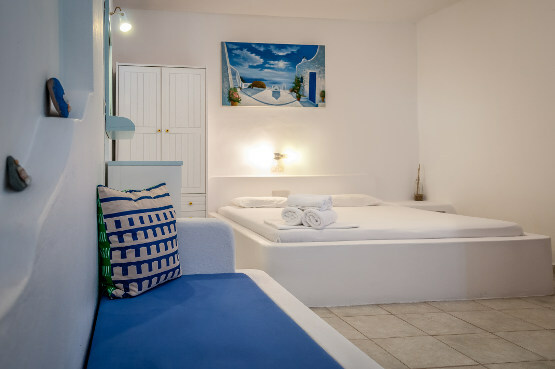 The recently renovated 18 studios have built-in beds, sofa bed and bathroom and provide all the comforts you need for a pleasant stay and many memorable vacation experiences on the beautiful island of Milos. 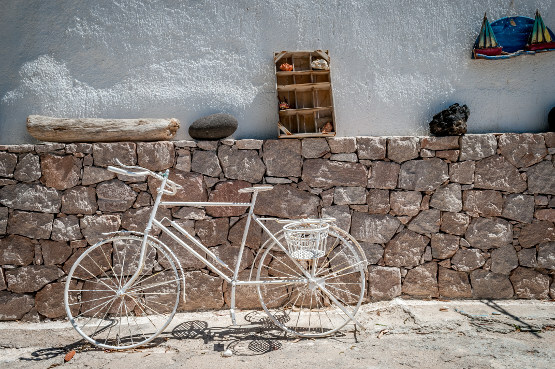 The inventive design of the rooms, our attention to detail, our genuine hospitality and the very personal way in which we treat our visitors are some of the reasons for which Paleochori Studios is one of the most popular small complexes on the island. 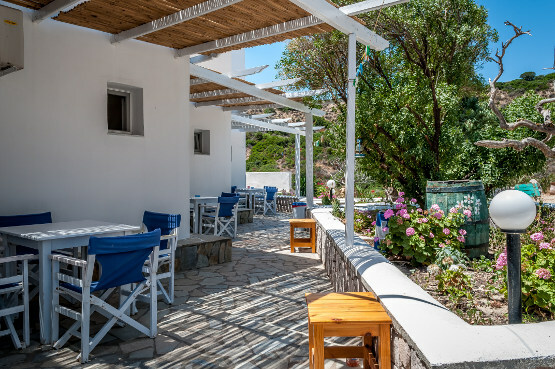 Andreas and Vassiliki, the owners of the hotel, will welcome you in the warmest way and will be available for any information you will need to make your stay in Milos unforgettable. They will provide you with a map of the island and share with you tips about the most beautiful beaches, the best restaurants, the most special routes, excursions and boat trips. The complex is 250 meters from Paleochori beach (5-6 minutes on foot) and 10 kilometers from Adamas (the port) and the airport of Milos. Paleochori is part of the central road network of the island. The routes to Adamas port, Plaka (island’s capital), the rest of the villages and many beaches can be reached by regular local bus service and taxis. In the village there are taverns, restaurants, beach bars and the most beautiful lee beach of the island. When you reach the port or the airport follow the signs to Paleochori. When you arrive at the village you will see signs to Paleochori Studios. It is a 10 minute drive on asphalt road. If you don't have your own vehicle you can take a taxi or bus to Paleochori (bus routes every hour approximately).